Read pages 466-468 in the Handbook of Nature Study (Lesson #119). You can check to see if you have bloodroot as a native plant in your area: USDA article on Bloodroot. Information and images for the study of bloodroot: Bloodroot (Canada) and images on USDA, Image of the root. Bloodroot video on Youtube: Bloodroot. Advanced Study Video: Bloodroot. Please note that I do not endorse the medicinal uses mentioned in this video. The Handbook of Nature Study suggests that the bloodroot be studied in its natural setting so plan on taking a early spring wildflower hike in the woods. Look for the leaves and flowers of the bloodroot, remembering that the flower will be wrapped in a leaf before it blossoms. Make sure your state doesn’t have the bloodroot on its Threatened or Endangered Species list before you pick any flowers or dig up any plants: USDA. The Handbook of Nature Study suggests a comparison of the bloodroot and the poppy (#7). If you have access to both flowers, this is a simple way to hone your observations skills. If you live where bloodroot is not native (like here in California), look for its relative the California poppy. There is a Outdoor Hour Challenge for the poppy: Poppies and Buttercups. Create a nature journal entry for the bloodroot recording the various observations suggested in the Handbook of Nature Study lesson. There is a coloring page included in the ebook: Bloodroot. 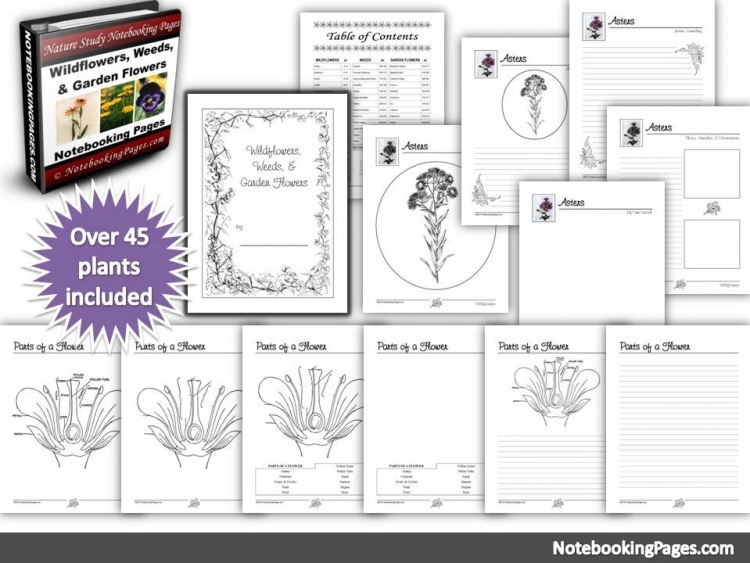 There is a notebook page included in the ebook for any Early Spring Wildflower you find to study. Advanced Study: There are many flowers in the Poppy family ( Papaveraceae). Research two flowers in this family and record your facts in your nature journal or on this notebook page. There is a notebook page to compare the bloodroot and the poppy included in this ebook. Advanced Study: Read about the Native American traditional uses of Bloodroot.